There are many possible reasons to explain pain around the ear. Below are some of the possible causes and ways of treating them. 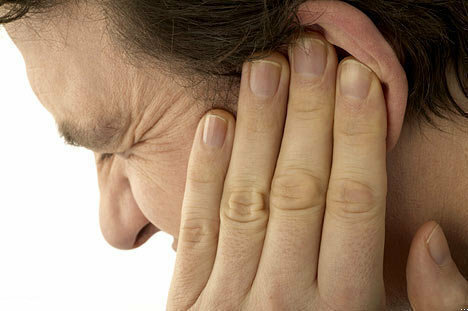 The most common symptom is pain in the left or right ear. In some cases there is also fluid draining. If there’s fluid draining, it could be due to otitis media. If that’s the cause, go to a doctor. This type of infection can only be treated with antibiotics. If there is swelling coupled with redness around the ear, check for insect bites. Apply some skin antibiotics. If there aren’t any bites, see your doctor. The swelling could mean the canal and skin is infected. Whether it is accompanied by severe pain or not, get medical help. Mastoiditis symptoms include headaches. In addition the bone at the back of the ear feels soft. The skin is also reddish. Aside from mastoiditis, an enlarge lymph node is one of the causes of ear pain. In either case see your doctor. Do not resort to self medication or prescription. A ruptured ear drum is possible if there’s blood or pus emanating from the ear canal. This is accompanied by sharp or stabbing pain. See your doctor. In the meantime apply a heating pad over the area. It will mitigate the pain. After getting treatment, don’t let the ear get wet. As long as it’s being treated, the ear must be kept dry. If pulling on the lower part of the ear / earlobe causes pain or itchiness, you might have otitis externa. This infection targets the ear canal. Doctor prescribed antibiotics is the cure. But the best ear pain relief is to prevent it from happening. Put 5 drops of alcohol and vinegar (50 / 50 mix) in the ear prior and after swimming / showering. TMJ (temporomandibular joint) Syndrome is characterized by a cracking sensation when chewing food. Use some anti inflammatory medication. You can also massage the affected jaw area. Heat or cold packs can help. If the pain persists after more than two weeks, go to a doctor. See a doctor immediately if the pain is severe. A blocked Eustacian tube is characterized by pressure in the ear. Hearing fluid moving around and flu symptoms are other indications. A decongestant medication may work. Consult a doctor if the pain doesn’t go away after two days. The cases mentioned show that some ear ailments can be remedied without going to a doctor. Some report ear and toothache when eating. The problem is likely due to the teeth and not the ear. Take a pain reliever or visit your dentist. Some people experience pain in the ear after a plane ride. This is due to air pressure. It’ll clear up in a few hours. If it doesn’t, go for a medical checkup. If there’s a pimple in the canal, wait for 2 to 5 days. It will usually disappear as it’s just a mild infection. If there’s some pain, take a pain reliever. A warm compress will also help. The key to treating ear pain is knowing the cause. Armed with that info, you’ll know exactly how to deal with it.